A significant percentage of all personal injury cases in the U.S. involve some type of defective product, whether it be an automobile or another device. While many of these cases are decided under negligence theory or another type of tort law, another potential option for you might be product liability. If a product is designed, manufactured or sold in a manner that is defective or misleading, the consumer who buys and uses it can be eligible for compensation if that product does not do its job. A potential failure to warn, meaning that some products are inherently dangerous, and in that situation, the manufacturer must make potential dangers clear. It is worth noting as well that in Pennsylvania, the defendant may be strictly liable under what is called strict liability, meaning that a person or entity does not have to be negligent in order to be held liable for injuries caused by the product. 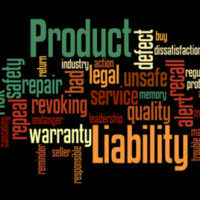 If a seller can prove that a manufacturer or seller placed a product on the market in a “defective condition,” that manufacturer has a good chance to be found strictly liable for that manufacturing or design defect, because that is enough to meet strict liability requirements for product liability. Even if your case must go forward under standard product liability law, it is important to keep in mind that one has only two years from the date of the event in which to file a complaint; this is referred to as the statute of limitations. If you fail to file suit within that window of time, your cause of action is barred. This may seem unfair, but if too many months and years are permitted to pass between an event and its trial, memories will fade and cases would essentially boil down to one person’s word against another’s. A product liability action can cause great harm, and should be dealt with quickly in order to potentially minimize this. Product liability cases can feel overwhelming because there can be a lot to remember. If this is the case for you, consider consulting an attorney, who can remember things for you. The Needle Law Firm has years of experience in representing plaintiffs harmed by defective products, and will work hard to help you. We serve Lackawanna, Luzerne, Monroe, Pike, Susquehanna, Wayne, and Wyoming counties – call us today for a free consultation.